My apologizes, this blog has been in silent mode for a long time…not because nothing happens in Food For Your Eyes Land. Here is a round up page of past projects. Although, it’s true that for a while Twitter (@foodforyoureyes) caught me for its micro blogging attraction and immediate reactivity. This time is fadding a bit on my opinion, maybe because too much people are talking about the same (photographic) things so no one seems to listen to each other. At a point I thought to transform this blog. But to what? to another tumblr on photography? Finally I took the decision to create www.foodforyoureyes.com, as I own the .com for many years. This is your new destination for everything related to FOOD FOR YOUR EYES . This entry was posted in Contemporary Photography, food for your eyes, Uncategorized and tagged Amp, Blog, Contemporary Photography, Dear Readers, Delicious Idea, Dot, foodforyoureyes.com, Globe, Greetings, Independent Curator, Long Time, Nathalie, New Destination, Paris, Photo, Photographer, Photographers, Photographs, Photography., Reactivity, Silent Mode, Special Interest, Tumblr on November 28, 2012 by food for your eyes. After a silent period I thought it was time to let you know what is going on at 500 Photographers so you know what to expect the coming months and ofcourse to let you know when the remaining 45 photographers will be posted. 500 Photographers has been asked by Guatephoto, a photo festival in Guatemala city in November, to create a projection that will be shown at the new gallery of La Fototeca. In the converted movie theatre they will be placing four large screens projecting the work of this website and three other well respected and known websites simultaneously. Currently I am curating and producing the projection to make something that should make some jaws drop. Throughout the city there will be exhibitions including work from acclaimed photographers as Roger Ballen, Maleonn and Erwin Olaf. At the same time I’m looking for the remaining 45 photographers that will be featured on this website to complete the list as well as creating things to be done after the website is completed. If you still want to suggest yourself or someone else you believe should be included: now is the time. Check the suggestions page and send me an e-mail. Make sure the photographers you suggest are truly special image makers with a clear signature. As quality has been my highest priority throughout the process of creating this website, I’m not yet going to pinpoint the exact moment when the photographers will be posted on here, however, it should not be too long from now. I’m excited about the festival in Guatemala, and excited to be finishing 500 Photographers. To make sure you don’t miss the moment when 500 continues you can subscribe to the rss feed above or like the facebook page. 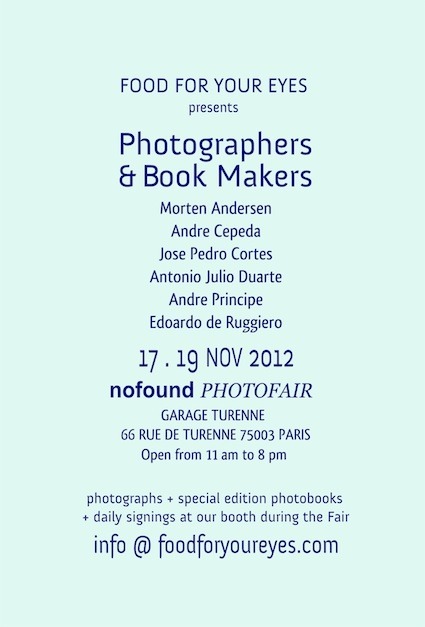 For those people going to Guatephoto: it would be wonderful to meet you. This entry was posted in 500photographers, Contemporary Photography and tagged Amp, Contemporary Photography, Dear Readers, E Mail, Erwin Olaf, Exact Moment, Exhibitions, Followers, Fototeca, Greetings, Guatemala City, Image Makers, Jaws, Movie Theatre, Ofcourse, Photo Festival, Photographer, Photographers, Photographs, Photography., Pieter Wisse, Roger Ballen, Screens, Silent Period on September 24, 2012 by Mr. Five Zero Zero.